A complete guide to the 6 best rooftop bars in Granada in 2019. 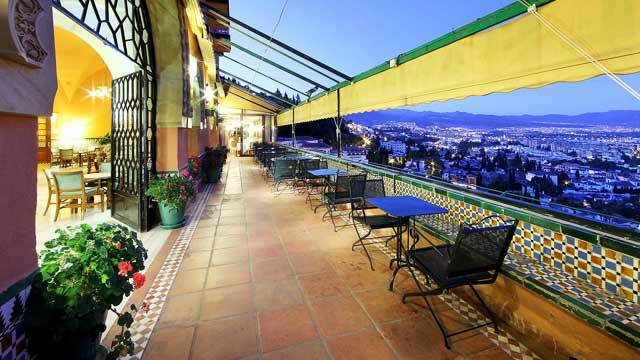 Here you'll find the best Granada rooftop bars with all info you need about each place. Dress code, maps, view spots, pics and much more. Located in Andalusia in the southern parts of Spain, 738 meters above sea level, Granada is quite high just as it is. But there is always a chance to get higher, and the city do offer quite a few very nice rooftops where you get amazing views over the classic landmarks and the Sierra Nevada Mountains. But which is the best rooftop bar in Granada? 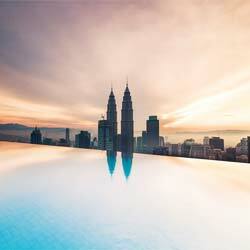 Just scroll down and find the Granada rooftop bar best suited for you. Or use the Granada rooftop map in the bottom right corner. A spacious and very stylish rooftop terrace with fantastic 360º views of Granada, the Sierra Nevada and the Alhambra’s Torre de la Vela. 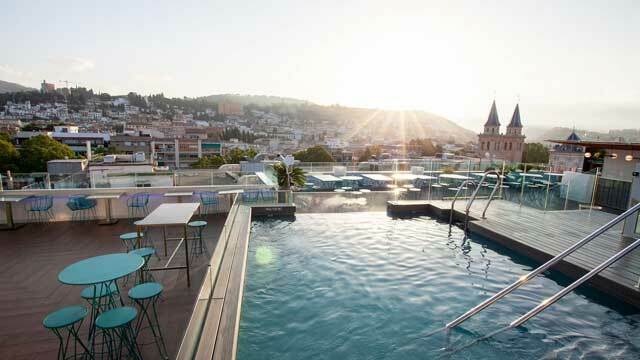 Working as both snack bar, restaurant and café, the rooftop also comes with an exclusive private terrace with a seasonal rooftop pool, open to guest at the hotel. 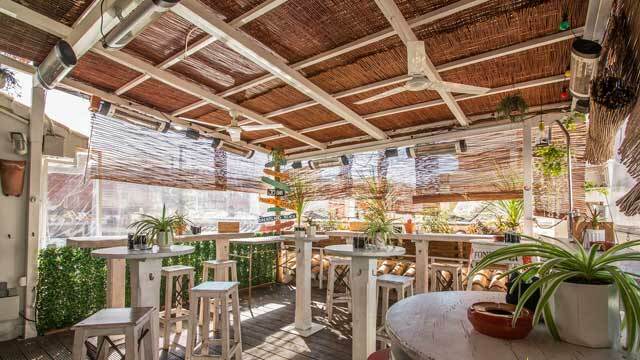 A true rooftop oasis, right in the heart of town, where you can order fresh and classic Andalusian dishes with a twist, well-made cocktails, cold beers or something from the large selection of Gin & Tonics. 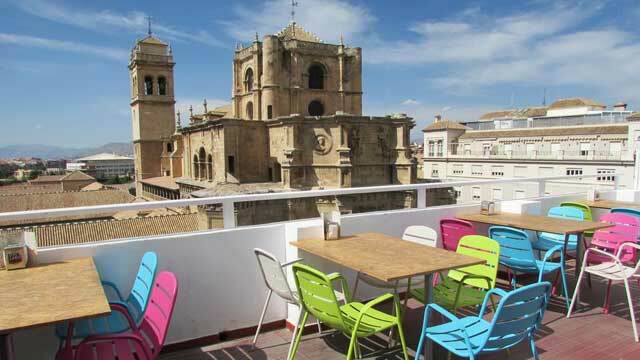 Very relaxing and casual rooftop bar and café, located on top of Hotel Los Jerónimos in the heart of Granada. From the rooftop terrace you get great views over the city of Granada, the Monastery of Jeronimos and the cathedral. Quite basic in decoration, but still a great spot to enjoy sunshine or sunset cocktails and casual vibes turning more vibrant towards the evening. Open-air and sunny in summer, but a retractable roof means that the rooftop is open year round. 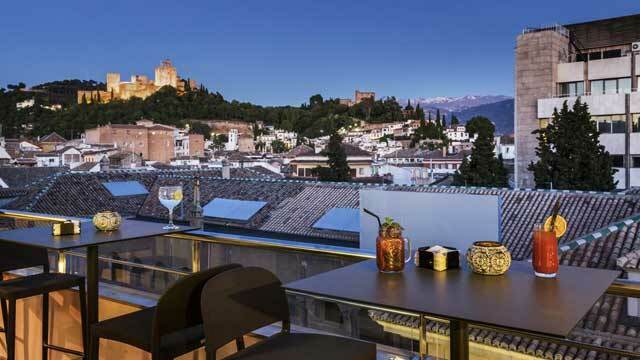 From this stylish rooftop terrace and cocktail bar you can enjoy stunning views over the historic city centre, including the Alhambra, the Cathedral and all the way to Sierra Nevada. 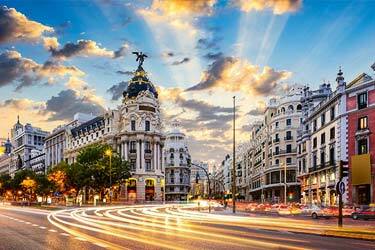 Located on top of Eurostars Gran Vía the rooftop bar is a modern, yet classic lounge spot, worthy of a 5-star hotel. Great spot to enjoy relaxing and stylish vibes along with delicious cocktails from the varied menu. Great, modern and affordable place to stay in central Granada. But not only, as this is also a great bar, restaurant and (best of all) rooftop bar. The little treasure placed on the top of the house doesn't offer any breathtaking views, but is still a lovely spot to enjoy chilling moments, either in the indoor living room or outside at the green, natural and cosy terrace. Enjoy a refreshing mojito, daily live music and a mixed crowd of locals and travelers in a hot and trendy atmosphere. A real classic hotel in Granda, set on the Sabika Hill, just a couple of minutes away from the Alhambra. Here you find a rooftop restaurant and bar with fantastic views over Granada and Sierra Nevada. The restaurant offers a classic fine dining setting with a view, where you can enjoy a regional Mediterranean menu along with amazing wines from the Granada wine industry. For a more casual menu, the Alhambra Palace panoramic terrace serves lighter bites, complemented with tasty cocktails and a large range of Gin and Tonics. Located in Albaicin, the Old Town of Granada, El Huerto de Juan Ranas is a charming place, offering absolutely breathtaking views over Granada, Sierra Nevada, and most of all, the Alhambra. Well worth a visit for the views alone, but this place do have more to offer. On top you find a chill out terrace and rooftop bar, perfect for relaxing cocktails or just a coffee. Downstairs is an air-conditioned restaurant with large windows, combined with another terrace, serving classic Andalusian food, wines and craft beers. 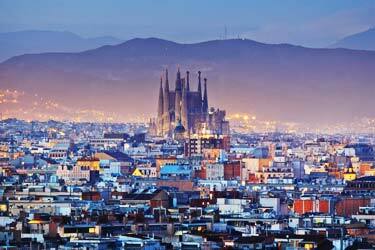 Discover the biggest collection of Granada activities, guided tours and skip-the-line tickets. Anything you want you'll find right here. 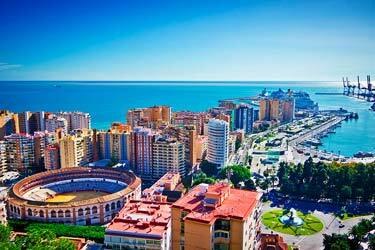 Granada is located in Andalusia in southern Spain, but not by the Mediterranean coast. Instead it is seated 738 meters above sea level at the foot of the Sierra Nevada mountains. And while the temperatures are decent year round, it is mainly the very hot summer months from April to October that is rooftop season. 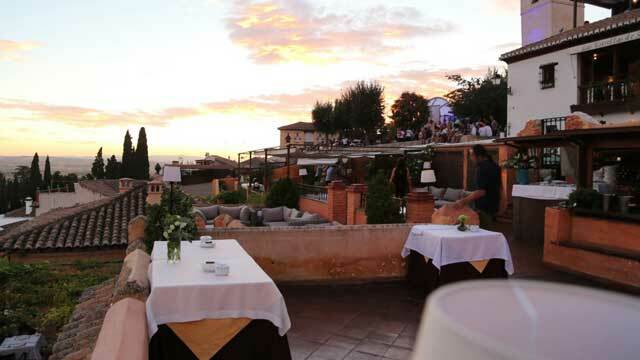 The rooftop bars in Granada range from modern and trendy rooftop terraces to more old-school and charming rooftop gardens, many offering fantastic views over both the famous monuments in the city and over the Sierra Nevada. Quite casual and relaxed in vibes, the number one drink to go for at the Granada rooftop bars is Gin & Tonic, that usually comes in large and impressive variations. Granada holds several famous and different buildings and areas, with both the Alhambra, an Arab citadel and palace, and the old town called the Albaicín, with fine examples of Moorish and Morisco construction. Nearby Granada you find the Sierra Nevada Ski Station, where the FIS Alpine World Ski Championships 1996 were held. 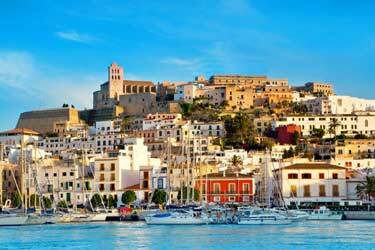 And since it is also just a one hour drive from the Mediterranean coast, it is a popular spot for both summer and winter tourism (or a combo of both).